When you call A.G.T. you are likely to hear the sunshine in the voice of our newest team member, MeLisa Williams. MeLisa started her career with A.G.T. in February 2016. 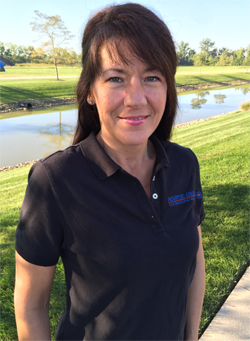 She brings a Bachelor’s degree in Business Management from Ohio University and over 20 years of office experience. Her solid combination of work ethic, organizational skills, positive personality and humor is a great fit. MeLisa resides in Westerville, Ohio with her fiancée Todd and their three children. She loves watching college football and is an all-out Buckeye fan, and if they are not on, any game will do. MeLisa loves DIY projects, fitness and volunteers her time with Clothes Mentor, assisting women into the workforce. During summer months, good luck finding anyone home. If they are not on the field watching the kids’ sporting events you will find this outdoor family on the water, biking, hiking, or at a local park. MeLisa’s motto in life is simple; be kind and live in love. A.G.T has recently incorporated yoga into our company health and fitness program. Each week our employees participate in an hour long session with certified instructor, Mary Donovan. Mary has over ten years experience and her classes emphasize alignment and flexibility. We are all enjoying this new addition and can already see the benefits. We still have time slots available this year for factory tours and demonstrations. Give us a call today to schedule your visit! Did you know that the AGT800 laser thickness gauge can measure a wide variety of materials? It’s true. 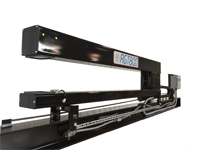 Being an optical based measuring system, the AGT800 is alloy insensitive, which means it can calculate any opaque material processed in strip, coil or sheet form up to .750”. This makes the AGT800 an ideal choice for measuring steel, aluminum, brass, copper, vinyl, plastic, wood, rubber, drywall, fiberglass and a whole host of other materials. We often get the opportunity to meet fascinating people. 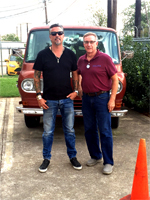 Recently, Jim Russell, one of our Field Service Technicians, had the pleasure of meeting Mr. Richard Rawlings in Dallas, Texas. Richard is an auto mechanic, record setting race car driver, author, and entrepreneur. He is also the star of the reality television show Fast N’ Loud on the Discovery Channel.